In today’s post I’m going to quickly review the pre workout supplement Hyper FX and then give a quick update on my week of workouts. The review of Hyper FX won’t be a normal full review, but I was given a trial pack and figured I would do a quick review. 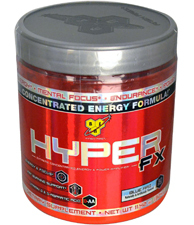 Hyper FX is a pre workout supplement made by the popular supplement company BSN. The main benefit of the supplement is to provide energy and focus for your workouts, but there are also added benefits of testosterone support, and fat burning support. The main ingredeients in Hyper FX are BCAAs (L-Taurine, L-Citrulline and L-Alanine) as well as beta alanine. It also contains D-Aspartic Acid & Calcium-D-Glucarate. Caffeine is listed as one of the ingredient in the energy complex. 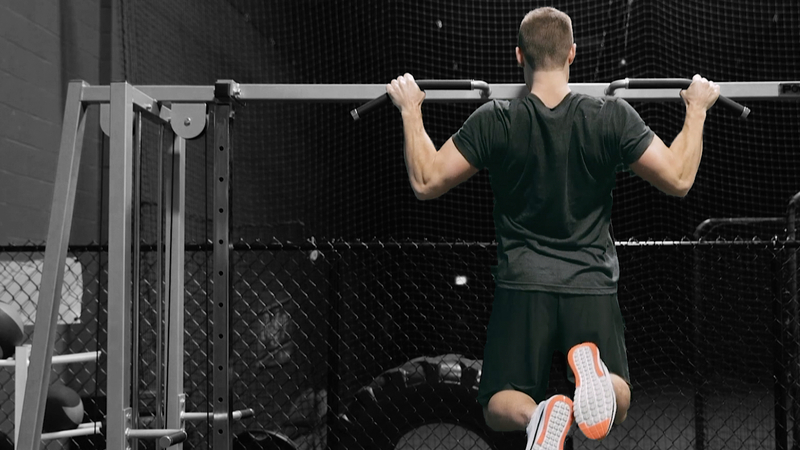 The combination of ingredients in Hyper FX will help you get energized and focused for your workout. You should also be able to get a few more reps on your exercises throughout the workout with the help of the amino acids and in particular beta alanine. It will help with recovery as well as some fat burning effects, although maybe not too noticeable. The taste would be about an 8.5 out of 10. I had the fruit punch and it tasted good, with the only downside being a bit of a burning effect in my throat on the last sip. So how did it work? It was great. I took it about 30-40 minutes before I actually got into the gym and by the time I hit the gym floor I had a lot of energy (noticeably more than before I took the supplement). I was really surprised with how easily I got through my workout, often not having to drop the weights lower on my last set when I thought I would have had to. For example today I had 10 sets of 10 reps (100 total reps) of standing shoulder press and I thought I would have to drop my weights down a few times because of the 50 second rest, but I ripped through it without lowering the weight at all. I felt no negative side effects (no being shaky or anything like that) and the supplement shake sat well in my stomach. Today was my last workout of the week. I went Monday through Saturday with my workouts, and Sunday will be a day of rest. I did my two 10 sets of 10 workouts and felt through those. Next week it starts to get tough with just 40 seconds of rest but I’m excited to work hard next week too. My eating has been pretty solid all week. Like I mentioned in my last blog post I bought a Juicer so I’ve been including those into my daily diet. I’ve noticed some fat gain since my vacation so I want to buckle down next week and have a really clean week of eating. I don’t have any hockey next week so I will need to make sure I get in 3-4 cardio workouts. Anyways I’m off for the weekend and will hopefully have another post Monday. Have a good weekend!